And get unlimited access to this gym and 684 others. Splash is situated in the popular town centre of Stockton which is close to many local amenities with great transport links. Following a recent multi million pound extension which has enhanced the already popular leisure centre, the modern building is a great facility that is suitable for all ages and is a haven for both families and the older generation alike. 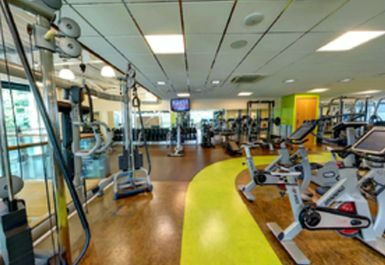 The extended 2 storey Activ8 fitness centre houses over 70 pieces of cardiovascular and resistance equipment, dry multi activity space, fitness classes and dry sports programmes. With a versatile choice of fitness activities to partake in, there is guaranteed to be something for each individual to help them get into shape. Their highly qualified and highly motivated staff will give you all the encouragement and advice you need to get started, get back into fitness or progress your routine. Very friendly staff and up to date equipment. Quality range of upto date machines. Great experience with fantastic facilities and staff.